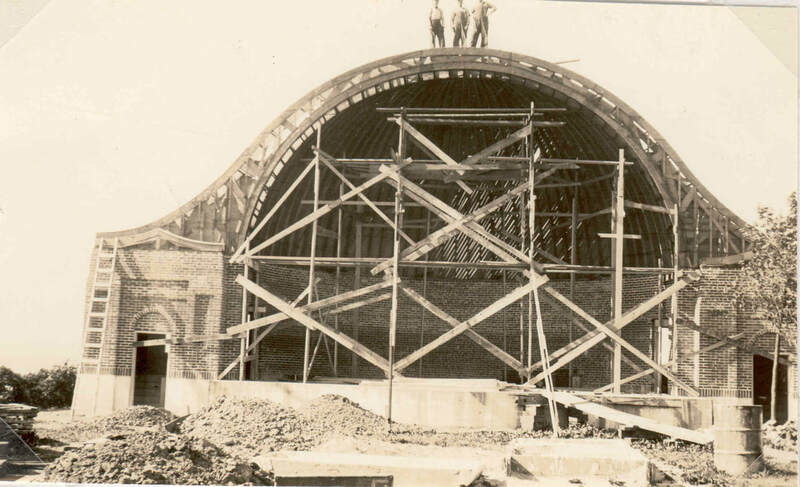 ​ In 1933, the Mesang Band Shell concept was a part of the development of the Bay Front Park by landscape architect Phelps Wyman from Milwaukee. The plans for the bandshell were prepared by Tom Shefchik. Funding by the Civil Works Administration (CWA), a short term program established during the New Deal of the Great Depression, was approved and construction started. However, before much work was done, funds were withdrawn. The city then sought and was successful in obtaining donations from the community to complete the project. The total cost was $3,002.30. 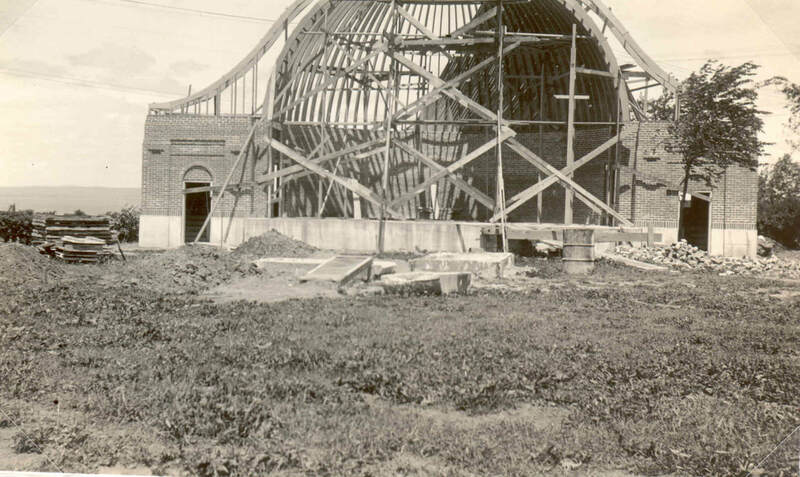 The Band Shell was dedicated on July 11, 1934. From the Daily Press, 7/12/1934: "In the perfect setting made by Memorial Park with Chequamegon Bay as the background, the Ashland Band Shell, at last a reality instead of a vision in the minds of those who have carefully planned Ashland's park system, was dedicated last night before hundreds of persons who crowded the park and lined the streets for several blocks. Before the exercises began, the American Legion drum corps marched to the shell, and executed their drills on the platform. The perfect acoustic properties of the shell were then evident, when the roll of the drums and the notes of the trumpets were caught an sent back, to be heard far in the distance." 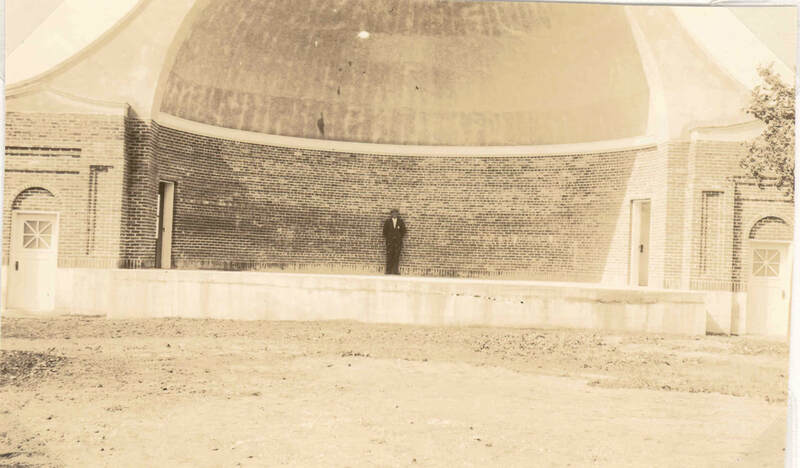 The Band Shell is named in honor of Theodore Mesang who began his career in Ashland and was the band director for Ashland High School from 1930 to 1948. He composed more than 200 musical compositions and in his later career became the band director at Oregon State University. Currently, the Mesang Band Shell hosts concerts on Thursdays and Sundays during through early August. Listen to John Phillip Sousa's "Stars and Stripes Forever" played by the Ashland City Band. 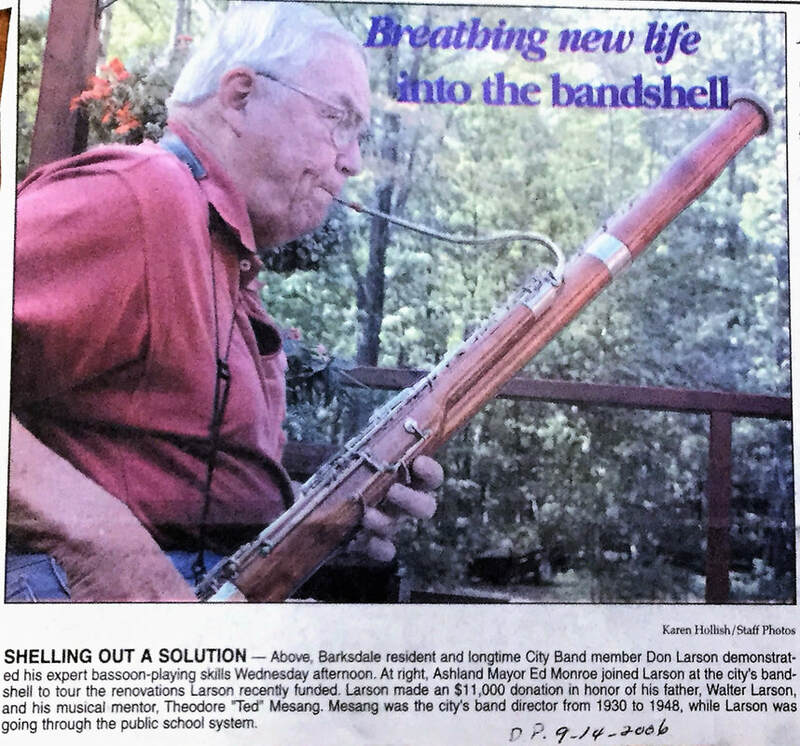 As,reported by Rick Olivo of the Ashland Daily Press, 9/17/1996, the City determined that the bandshell was in jeopardy and was deteriorating because of leaks allowing water to infiltrate the structure. Masonry was breaking loose and the stucco on the overhang was starting to spall off. Something needed to be done. The Ashland veterans groups agreed to begin fundraising. Mayor Lowell Miller said "We either fix it or lose it. We want to restore it to better than new condition" . Further, he said that a partnership of citizen donations along with the veterans group drive along with city contributions would pay for the repairs. 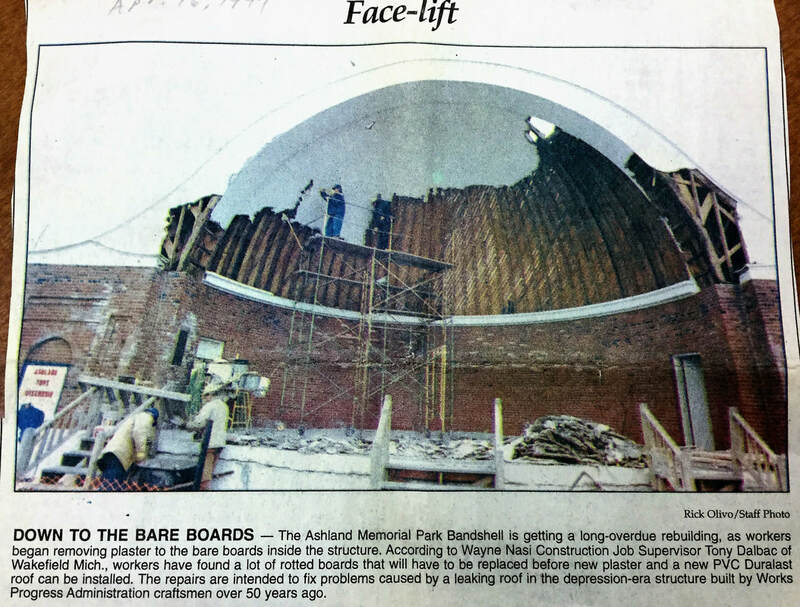 Again in 2006, the bandshell was in need of renovations, as reported by the Ashland Daily Press. Two rooms on the sides of the stage were redone; in addition, paint and several sealant coats to the brick were added, leaking to the roof was repaired, and light expansion and the installation of several doors were completed. ​The eight block downtown Mural Walk in Ashland reflects the history of the community. Kelly Meredith and Susan Prentice Martinsen created this visual eye catching artwork starting in 1998 and adding more over time. They worked with the Ashland Historical Society to accurately portray the many murals in the downtown area.